Trained at the Royal College of Art London and was hailed as ‘the next generation to turn its back on Emin and Hirst’s conceptual works’ by the Observer. 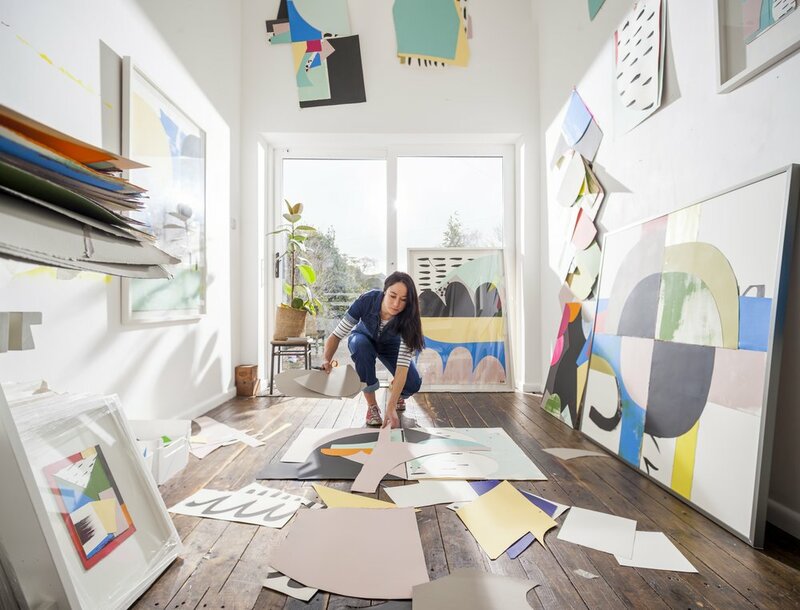 Joanne has exhibited internationally including 53rd Venice Biennale, Royal Academy Summer Exhibition and Jerwood Drawing Prize, as well as being shortlisted for the Beers London Contemporary Visions exhibition. Commendations include Head of collections at Soho House, Kate Bryan, as one of the ‘Must see artists at the Other Art Fair’ and the Times Newspaper ‘Picking up a Picasso is one click away’. Joanne has a growing international collector base and is included in public and private collections in UK, US, Hong Kong, Europe and Australia. Photograph taken by Julian Winslow.